While it may seem we write about every single thing we eat, that’s obviously not the case. And trust us, you really don’t want to know about all the cold leftovers or bowls of cereal in our lives. However, there have been some unsung tid-bits we’ve enjoyed this summer that deserve mention. Jack Tar is an unassuming restaurant and pub tucked in behind the storefronts on Washington Street in Marblehead, and on a couple of occasions this summer we have found ourselves enjoying their little patio in the early evening. Our drink of choice? The refreshing Lemon Jack, which is similar to a lemon drop, made with citrus vodka and limoncello. Icy and tart, it’s just the thing to cool you off after a sultry day. 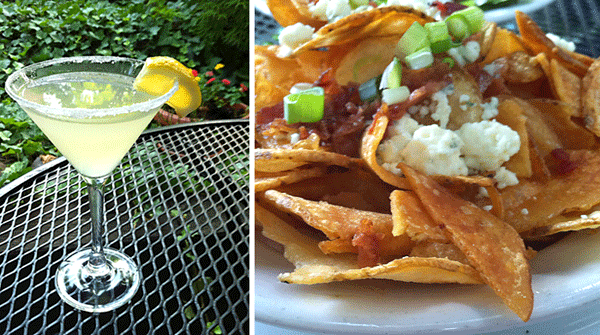 Their house-made warm potato chips with bleu cheese, smoked bacon, and scallions are extremely tasty and just the right accompaniment to cocktails. When a friend requested a stop at Boston Hot Dog in Salem recently, we heartily agreed, fully expecting to order one of their stellar dogs. 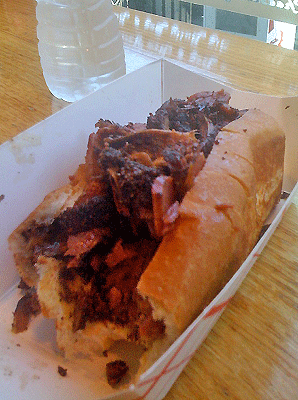 Upon entering, we noticed the hot pastrami special and decided it warranted further investigation. Man, was that one excellent sandwich. If tender, savory pastrami slow-cooked all day, loaded into a French bread bun with Dijon mustard and a bit of swiss cheese sounds like heaven to you, check this baby out. 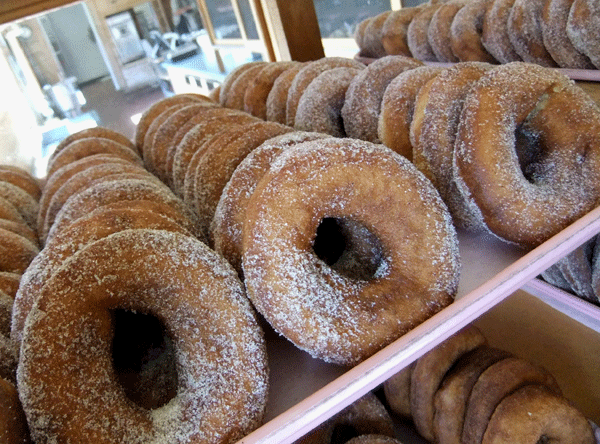 Autumn may be when thoughts typically turn to cider doughnuts, but we’ve been obsessing about them this summer, and those from Cider Hill Farm are the objects of our affection. Fresh, light, and cake-y, these old-fashioned doughnuts are coated in cinnamon sugar and simply melt in your mouth. Cider Hill sells them at several farmers markets across the North Shore, but we love them still warm from the bakery at the farm itself. 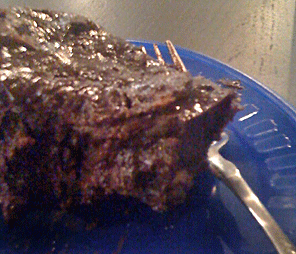 Another dessert worth seeking out is the dark chocolate bread pudding from Coven. It is dense, not too sweet, and the deep chocolate reminiscent of my grandmother’s homemade hot fudge sauce. This insanely lush treat is so rich we couldn’t finish it all, but it’s the sort of left over that won’t languish long in the fridge. We have yet to get to the newly opened Green Land Café in Salem for dinner, but we did stop in for lunch last week and were quite impressed by the grilled avocado and crab salad with ginger-lime gastrique. 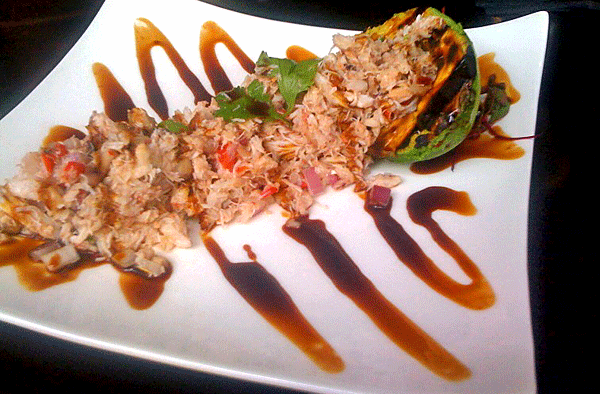 Both the avocado and the crab were super fresh tasting, and the dressing was bright and tangy. This lovely entrée was light yet filling, just right for a summer afternoon.